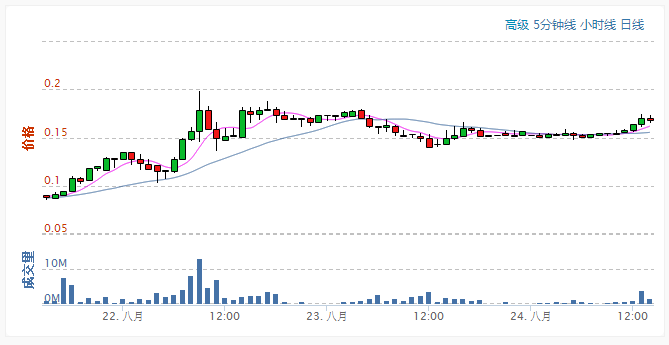 BitsharesX (BTSX) has broken into 3rd spot in market cap rank, now trading at 0.1710 CNY ($0.027) on BTC38 and 0.053 mBTC on BTER. Its total value is now over $54 million. The cryptocurrency had been rising of late, gradually climbing in market rank before spiking by over 100% 72 hours ago. Since the beginning of August, it has gained over 200%. Buying likely accelerated after it surpassed Ripple, now worth $42 million. Reported volume has been heavy, with over $750,000 worth traded during the past 24h- the most after Bitcoin and Litecoin. According to its website, “BitSharesX is the world’s first virtual vault. This is a vault where only you have the key. BitSharesX allows you to buy, sell and trade all kinds of virtual assets that track the value of real world items like dollars, gold, silver and even shares of companies. They can all be bought, sold or traded right in your BitSharesX account, with anyone on earth, at any time, instantly.” It is a medium for decentralized exchange made available by bitshares.org. After Bitcoin and Litecoin, the next 3 top currencies by total valuation are all used for decentralized exchange: BitSharesX, Ripple and Nxt. They have recently held their ground or advanced, less affected by the volatility gripping crypto markets.